What can you make with a line, a circle or square? 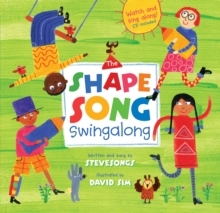 This inspiring book, based on an original song by children's singer SteveSongs, shows how simple shapes can be transformed into anything you can imagine from boats to skyscrapers to a circus. The catchy song and animation will soon have you dancing along, making shapes!